Asphalt Driveway Paving North Texas - Celina, Pilot Point. McKinney, Sherman, etc. - Country Roads Paving, LLC. Looking for a paving company with references and work examples? When it's time to get a driveway bid or other paving quote, you want to reach out to contractors that will meet with your expectations. The jobs and photos below are actual recent work examples of paving, dirt work, seal coating and other jobs we've had the pleasure to work on. ​FLASH SALE: 10% OFF UP TO $250 ON ANY JOB INCLUDING DELIVERY & INSTALLATION OF CHIP ROCK, GRANITE, RECYCLED ASPHALT OR BASE ROCK! TYPE 10%OFF IN THE COMMENTS SECTION OF THE FREE ESTIMATES PAGE! The following can be applied to new areas or over existing roads & driveways in most cases. We will pave a way to your house, barn, horse stalls, garage, shop, or outbuilding and offer driveways, pads, parking lots, commercial drives, private roads, walking paths, patios, and fire pit pads. 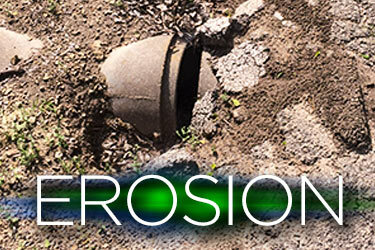 Many cement driveways, hot mix asphalt areas and rural gravel roads in North Texas can be repaired. We will repair any driveway, parking lot, or private road - commercial or residential asphalt repair, asphalt patching, pothole filling, grading, etc. and can fix and repair concrete patios and driveways. Regular maintenance will extend the enjoyment and lifetime of your driveway, road, or parking lot. Deferred maintenance costs far more in the long run than taking care of issues as they arise. Most simple asphalt maintenance extends the life of driveways and roads for many years. Assisting with dirt work for homes & businesses in our work area (residential areas, horse properties, ranches & other rural properties). ​• Clear Land (brush, small trees, & leveling only - not a tree service). Pretty sure we could never list all of the excavation that comes up in North Texas, but we can solve 'em! We're solving rural paving problems Texas style! This means our North Texas neighbors are enjoying a nice drive into their property — in any of the many weather conditions our great state has to offer. The goal? to put down the most solid, level, long-lasting, dust-free surface under any budget. Worry-free is the goal. This could mean complete hot asphalt paving, or it could mean simple grading. From then on, If you're ever in need, we'll just be a phone call away. The question? ​Is it time to get out of the mud, stop the potholes, protect your investment, or just spruce it up? 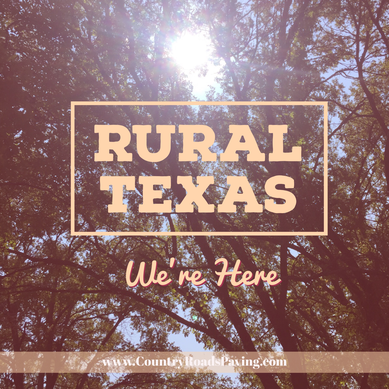 Country Roads Paving & Excavation is offering complete paving services in North Texas including new residential driveways, rural driveways, ranch roads, and horse property maintenance, as well as ideas and paving solutions and ideas for private roads. 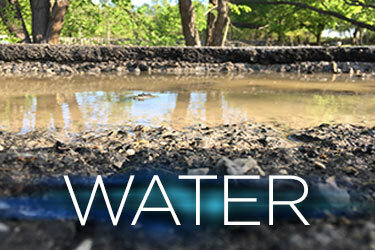 Water - Options include bringing in fill dirt or gravel to slow & redirect water, building berms, digging ditches, or installing culverts. 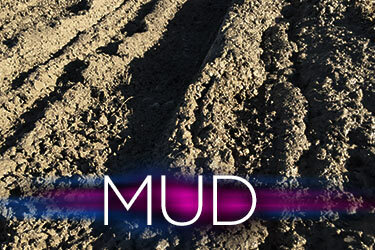 Mud - Bring in material like road base or recycled asphalt to fill low spots and grade driveways and roads. We're installing new cement and asphalt driveways, doing road repair and maintenance all across North Texas including Denton, Little Elm, Frisco, Sanger, Pilot Point, Aubrey, Whitesboro, Pottsboro, Sherman, Gunter, Celina, McKinney, Princeton, Allen, Fairview, Lake Dallas & many more!